Almost every mainstream media outlet, financial and otherwise, is telling us Bitcoin is dead and heading to zero. It’s only about the 377th time this has been said about Bitcoin, but this time there are apparently more believers in that possibility. The strong selling in the past three weeks is from those who believe the naysayers and they’re finally capitulating. As morbid as that might sound, it’s actually a very good sign for us hodlers. The recent crash in prices has understandably brought out the naysayers, such as Dr. Doom, Nouriel Roubini, as they gleefully tell us “I told you so.” I firmly believe he and others like him will be forced to eat their words. But for now, let them gloat. Statements by Roubini and other non-believers are causing the FUD meter to peg near the top of its scale and causing more selling. Weaker investors are accelerating the transference of their holdings to stronger, more certain, less fearful investors. This is exactly what bear markets do before setting up the next bull market. Weaker hands need to be flushed out to remove selling pressure. They then become buyers in the next bull market, along with newly interested buyers, and a much stronger rally, not just a bounce correction, begins. The true believers, those waiting for an outstanding buying opportunity, are the ones coming in to take the inventory off the sellers’ hands. Smart money builds positions at these lower prices in anticipation of the next bull market cycle. All markets cycle. Bear markets follow bull markets, which in turn follow bear markets. Bull markets induce FOMO, creating buying spikes to the upside. And bear markets generate FUD, creating selling spikes to the downside. Rinse and repeat. At the November 7th high, just before this month’s crash, Bitcoin was down 67%. The crash from November 7th to the low on November 24th (from $6544 to $3638) was a loss of 44%. Those are scary numbers no matter how much lipstick you use to make it look prettier. It’s therefore not at all surprising that so many are now selling and why we’re reading about all this doom and gloom about the health of the cryptocurrency market. 2014 –Bitcoin was down 61% from December 2013 by the time a bounce correction into November completed. From there it dropped 67% into the January 2015 low, which made the total decline for the 2014-2015 bear market 84%. 2017 – In one of the most bullish years for Bitcoin, it dropped 39% in June-July and then rallied to a new high into August. It then dropped 40% in September before rallying to the all-time high at $19,666 in December. 2018 – Bitcoin was down 81% from December 2017 into the November 24th low at $3,638. An 84% decline, to match the 2014-2015 decline, would have Bitcoin down to $3,146. Remember that number because $3,146 is also where the 200-week moving average is located on its chart (discussed in the chart review section). Just as it took strong conviction to buy Bitcoin in January 2015 (at $152), so too does it take strong conviction to buy Bitcoin at the current lows below $4,000. Even after all the bear market drama this year, those who bought Bitcoin between $152 and $200 in 2015 are still up at least 2,000% with Bitcoin near $4000. Warren Buffett made himself a billionaire by buying when blood ran in the streets. People like Buffet are long-term oriented and they recognize value when they see it while others are panicking. Buffet is a stock picker and a Bitcoin hater, although he has started to invest in companies involved with blockchain technology. But for those who believe in cryptocurrencies, we’re now reaching the point where blood is running in the streets. The crypto bear market has not thwarted the efforts by Nasdaq to offer Bitcoin futures trading. They intend to join Bakkt in the first quarter of 2019 by getting approval from the Commodities and Futures Trading Commission (CFTC) to offer traders a futures market for Bitcoin. The Nasdaq is allocating a large portion of its resources for the development of the infrastructure required for Bitcoin trading. It would not do this unless it firmly believed the demand for Bitcoin and other cryptocurrencies will grow over time. 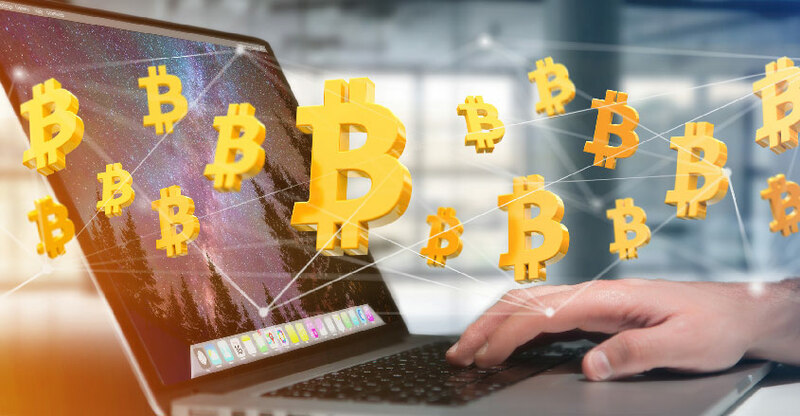 Futures trading through Bakkt and Nasdaq will lead to an increase in additional liquidity for Bitcoin, which would address one of the SEC’s main concerns about the risk to investors. The SEC’s concerns are about low volume and its resultant higher volatility. Regardless of this year’s bear market, very positive developments continue to position the crypto market for the next bull market. Click to learn more about smart cryptocurrency trading with Keene Little…. Hey Buddy!, I found this information for you: "Bitcoin Blood in the Streets: Good News for Hodlers". Here is the website link: https://realdaily.com/bitcoin-blood-in-the-streets-good-news-for-hodlers/. Thank you.